Graham’s beardtongue (Penstemon grahamii) is endemic to Utah’s Uinta Basin and the adjacent Piceance Basin of Colorado. It grows only on the upper Green River Formation. Photo courtesy of Michael Vanden Berg. Plants can enlighten geologists as to the rock beneath. Geobotany, also called phytogeography, is the scientific study of the distribution of plants. Climate is considered the primary control on plant life, but within a particular climatic region the rock beneath soil—known as the parent material of soil—is typically the key factor influencing the vegetation growing above. Rock ultimately determines soil moisture characteristics, nutrient availability, and concentrations of essential elements. Therefore, certain plants are associated with specific rock types. Limestone, dolomite, shale, gypsum, chert, gabbro, rock salt, and ultramafic rocks (e.g., dunite, peridotite, serpentinite), for example, are known for their distinctive floras. Since before the advent of agriculture humans have used plants as a guide to find sought-after rocks and minerals. Today, the methodologies of geobotany are still applicable, practical, and even cost-effective to the geologist. Dramatic changes in vegetation can occur with changes in geology. In mountain ranges of the Great Basin, big sagebrush growing on sandstone abruptly transitions to bristlecone pine on dolomite. The distribution of the California poppy in Arizona closely correlates with copper mineralization, which in turn corresponds with fault lines. 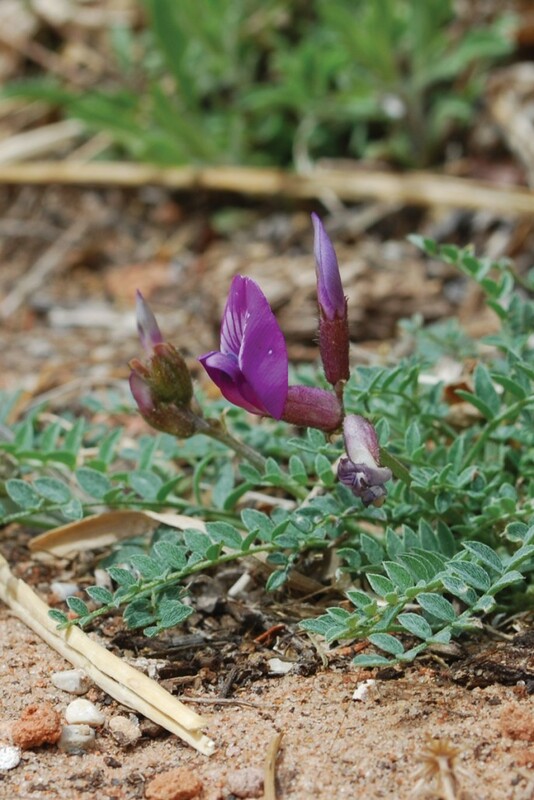 In Utah, many of the state’s endemic plant species (those found nowhere else on Earth) are restricted to growing on a single geologic unit—the Green River, Moenkopi, Navajo, Mancos, and Chinle Formations each claim several endemic species. 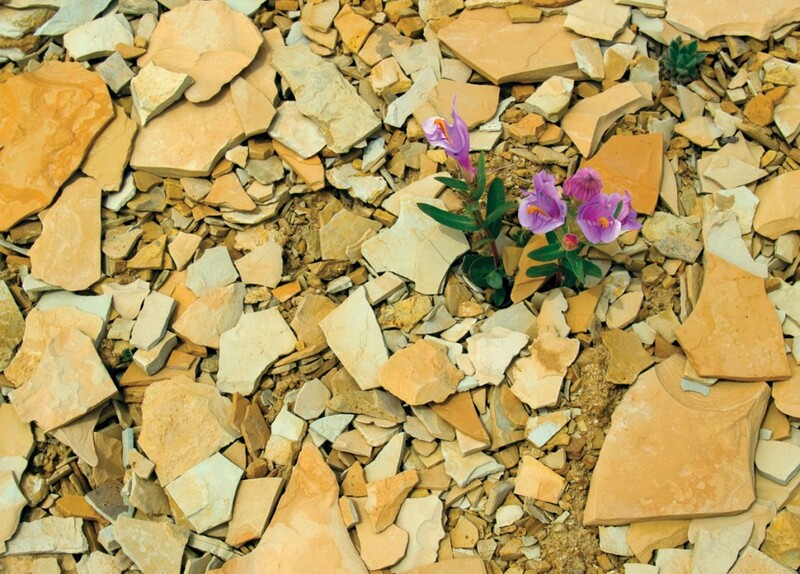 In the Uinta Basin, Graham’s beardtongue is found only on sparsely vegetated exposures of the upper Green River Formation oil shale deposits. Graham’s beardtongue could come under increasing threat in the future due to loss of habitat from oil and gas exploration, drilling, and tar sand and oil shale mining, and consequently has been proposed for a threatened status listing under the Endangered Species Act. The use of plants to find ore bodies is called geobotanical prospecting. It has been effective in locating mineral deposits worldwide, such as tin and tungsten in England; nickel, cobalt, and iron in Russia; copper and silver in Montana; bitumen in California and by the Caspian Sea; and copper and nickel in central and southern Africa. There are three commonly applied methods in geobotanical prospecting: (1) mapping of indicator plants, (2) assessing plant appearance and physiology, and (3) chemical testing of plants known to accumulate specific elements. Indicator plant species mark sites that are likely enriched in a particular element or mineral. Usually these places are toxic or intolerable for other plant species, eliminating any competition. 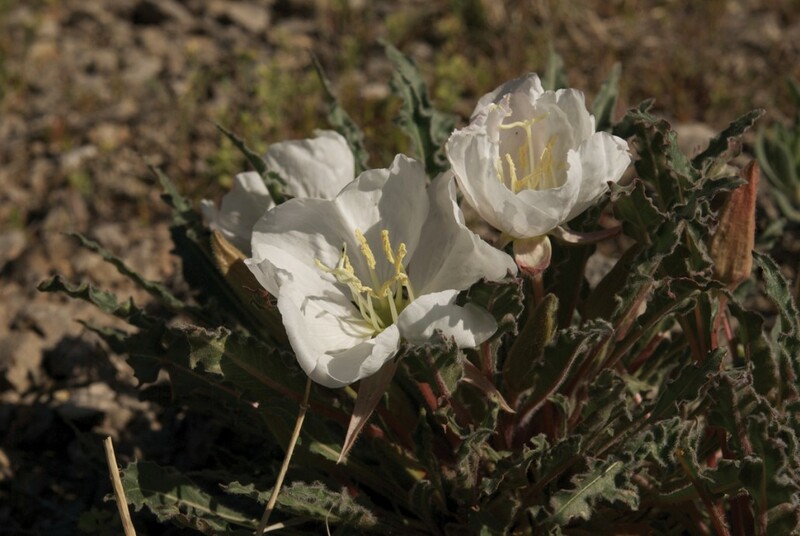 Here in Utah, prince’s plume grows in selenium- and calcium-rich soil; tufted evening-primrose, onion, wild buckwheat in calcium- and sulfur-rich soil; and desert trumpet grows in gypsiferous soil. 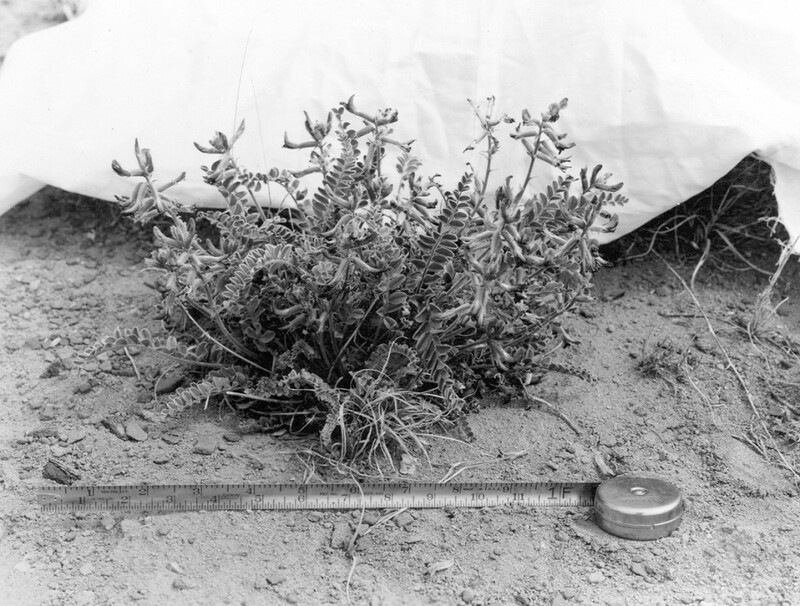 In southeastern Utah on the Colorado Plateau, geologist Helen Cannon in the 1940s and 1950s pioneered the use of plants as a tool for prospecting carnotite, a radioactive uranium ore. Cannon confirmed that Astragalusspecies (including milk-vetch and locoweed) pinpoint areas of selenium-rich uranium ore. Cannon also documented 50 other plants on the plateau associated with mineralized ground. For half a century, aerial photo interpretation has been used as a tool for locating indicator plants, anomalous vegetation patterns, and evaluating plant health. Indicator plant mapping has gained a powerful tool in the past few decades with remote sensing, or the imaging of Earth via satellite. Remote sensing uses parts of the electromagnetic spectrum, such as infrared or ultraviolet light, to detect plant species otherwise undetectable when just the visible-light spectrum is examined. These plants are then used to glean clues about an area’s geology. Because so much of Earth’s bedrock is covered by vegetation, interpreting the flora from imagery derived from remote sensing has been an increasingly important technique in geologic mapping. Plants exhibiting symptoms of toxicity, stunted growth, or a difference in flower or leaf color can also implicate potential mineral deposits. A strange and amazing example is the western spiderwort: blue stamens in its flowers change to a pink color when radiation is present in the environment. Iron, manganese, zinc, phosphorus, calcium, and copper at certain concentrations can produce chlorosis in plants—a yellowing of the leaves due to hindrance of the photosynthetic process. Serpentine-derived soils contain toxic metals such as nickel, chromium, and cobalt, and also lack nutrients, such as calcium, potassium, phosphorus and nitrogen, producing widely spaced and stunted plants, a condition referred to as serpentine syndrome. The most common geobotanical method, chemical testing of plants, is called biogeochemical prospecting. Some metalloving plants, known as hyperaccumulators, can have extraordinarily high metallic element concentrations when growing above ore bodies. For example, zinc builds up in the tissues of aspen, common yarrow, and mouse ear cress. The mouse ear cress, found in the central Wasatch Range, Oquirrh Mountains, and Stansbury Island, has been known to grow on old sacks of zinc oxide and can contain around 120 pounds of zinc per ton of plant ash. Locations having high levels of particular elements in plants may be considered prime candidates for further, more in-depth mineral exploration. Big sagebrush and four-wing saltbush have been used as indicator plants for gold. 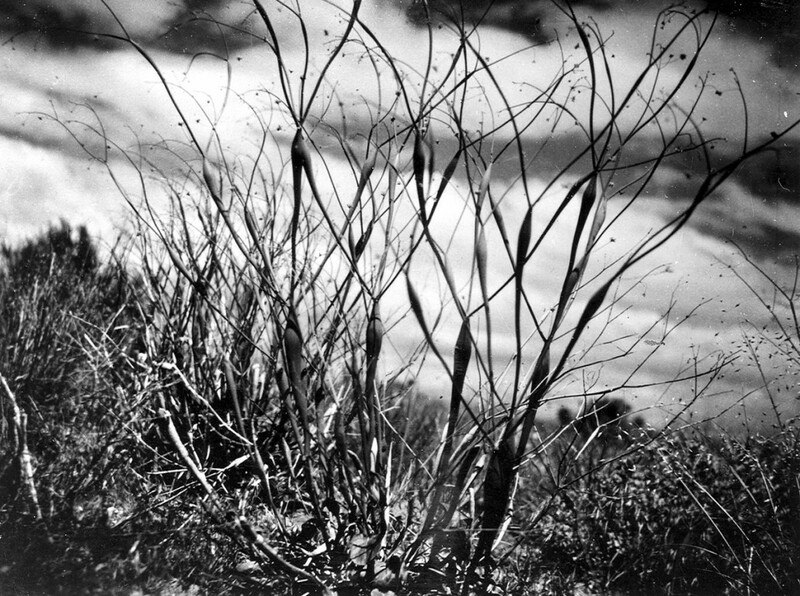 Sagebrush does not directly absorb gold, but rather arsenic and antimony in its twigs and stems, elements linked with Carlin-type gold deposits (microscopic particles not recoverable by panning). 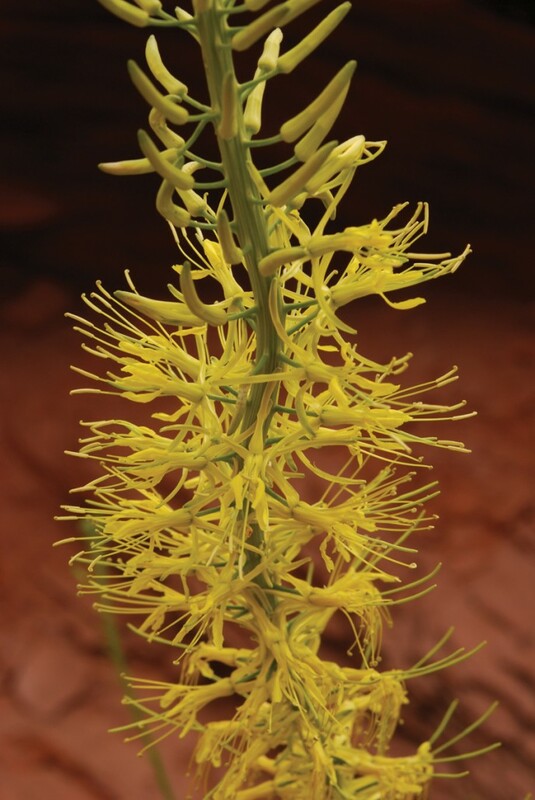 Similarly, on the Colorado Plateau, juniper and saltbush branch tips concentrate uranium; deep roots enable detection of ore bodies as much as 70 feet below the surface.